Belt Conveyor : Convey PP,PE material to crusher &washer machine . Crusher &washer: Crush and wash PP,PE film into small pieces . PP/PE pieces Dewatering Machine : remove the water of PP,PE pieces. Plastic granulator:Heat and melt the PP,PE pieces,the extrude them with strip shape. 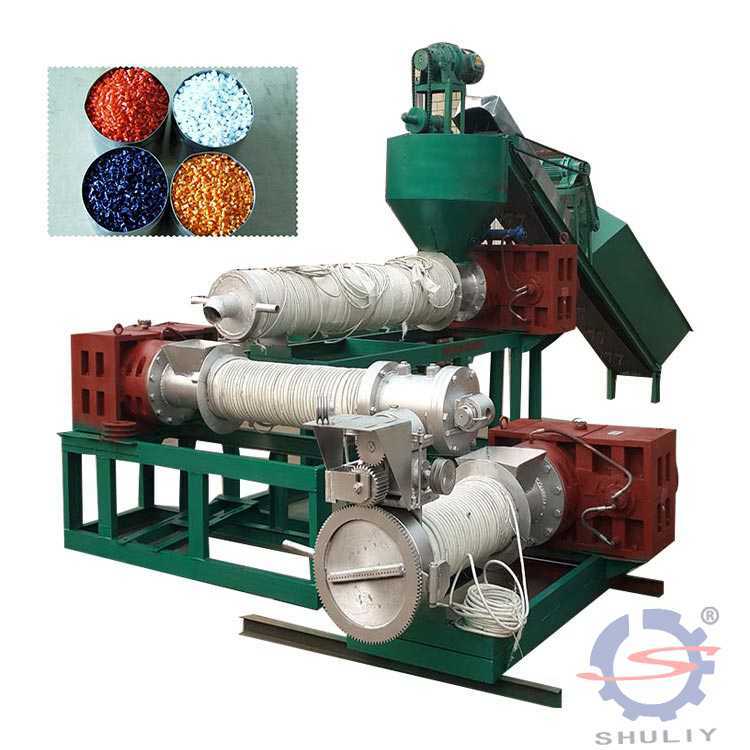 Plastic pelletizer: cutting the hard strip plastic to pellet. 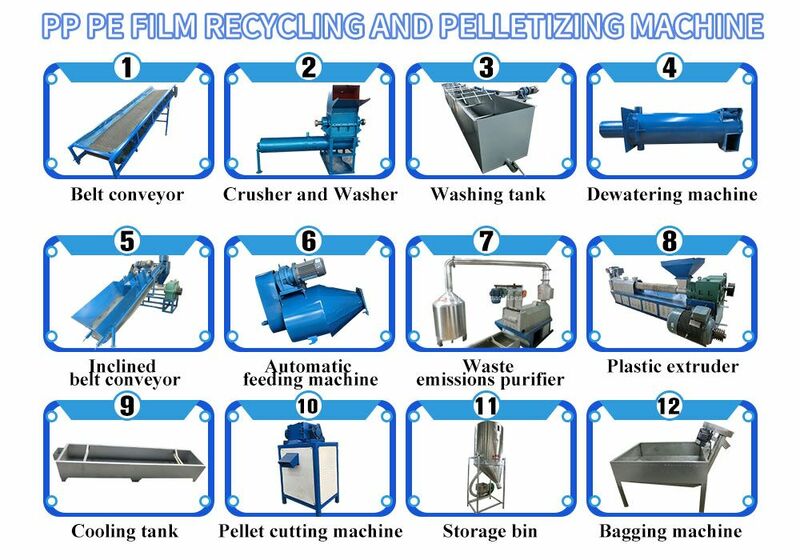 This PP/PE/LDPE Plastic Recycling line（plastic recycling machine ） mainly consists of: conveyor belt – crushing and washing machine – rinsing tank – dewatering machine – conveyor – forced feeder – granulator – cooling tank – pelletizer – control cabinet and other components. It is also possible to configure exhaust gas purification devices, storage bins, bagging machines and other related equipment according to customer needs. Through the above steps, the waste plastics are recycled for reprocessing. The entire production line from waste to finished products, is easy to operate, high in efficiency, environmentally friendly and energy-saving. 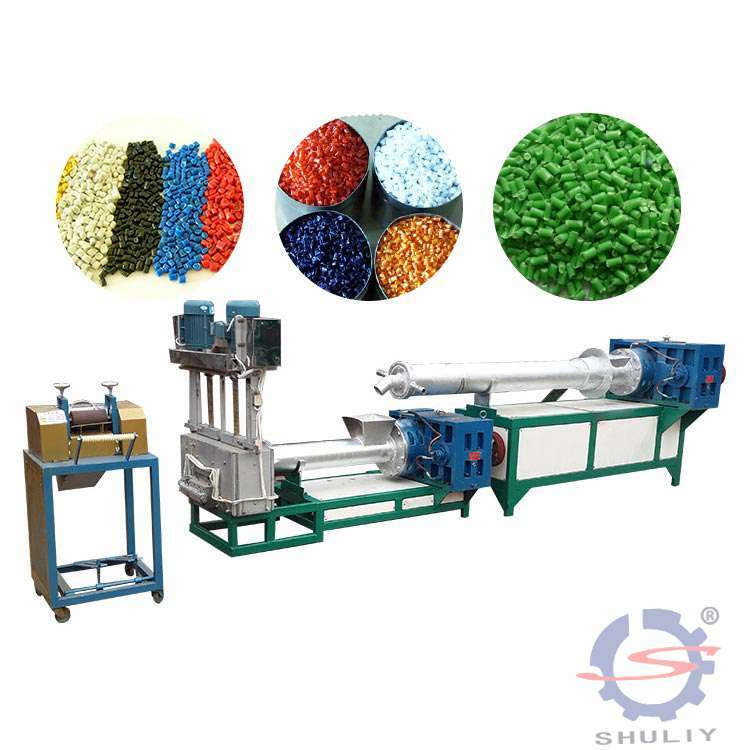 This PP/PE/LDPE Plastic Recycling machine is developed through the introduction, digestion and absorption of advanced concepts and technologies at home and abroad, combined with the needs of today’s development and the characteristics of recycling of waste plastics. It can meet the environmental protection requirements for recycling of waste plastics at home and abroad. Handle soft floating plastics such as discarded braids and films! The PP/PE/LDPE Plastic Recycling production line（plastic recycling machine ） can be combined into various specifications according to customer requirements. From 200KG/H-3000KG/H, our company has had successful cases. The machine features: beautiful appearance, low energy consumption, high output, practical and reliable. The new rinsing device can be used for washing, greatly improving the production efficiency, and the cleanness of the washing material is pure, reaching the requirements of the first-level net film. It is an efficient, water-saving device.